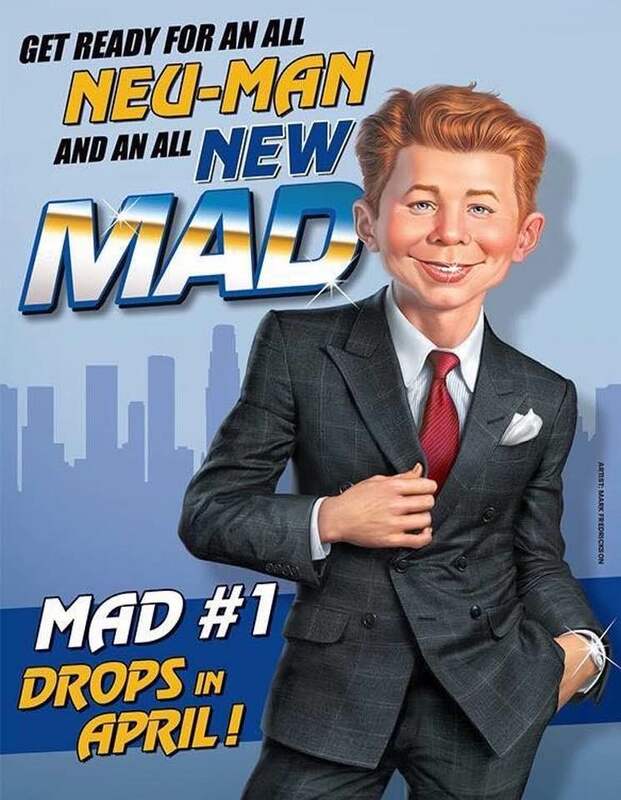 MAD Magazine will be rebooted with a new #1 and a new look when it moves to California later this year, DC co-publisher Dan DiDio revealed on his Facebook page. MAD Magazine #550, on sale now, will mark the final issue of the current volume of the magazine, which launched at EC Comics in 1952 before being taken over by DC after EC crumbled in the mid-‘50s. A new #1 will launch in April, likely timed as close to April Fools’ Day as possible. 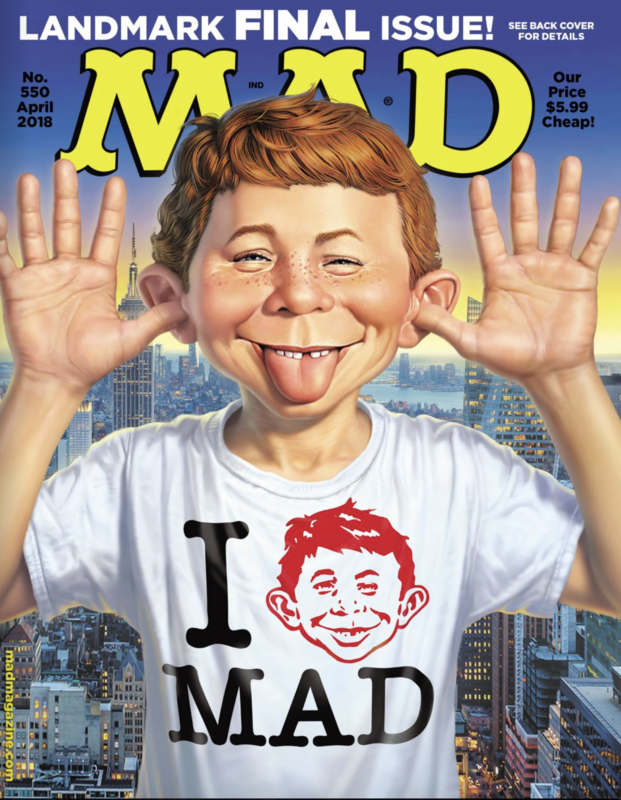 April 1 has long been recognized as the symbolic birthday of MAD mascot Alfred E. Neuman, whose gap-toothed visage has graced the cover of the magazine for decades. A version with his teeth and hair “fixed” appears on a promotional image for the new MAD #1, which will be edited by longtime Bongo Comics veteran Bill Morrison.